Joel Walker is a psychiatrist and photographer who is seen as an early pioneer of phototherapy. 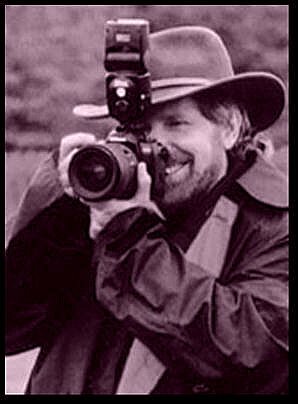 He has been using photographs and interactive camera work for over 25 years. A renowned international speaker and Harvard lecturer whose photo exhibits have been seen worldwide. He has also been featured by Time and Life magazines. Walker tries to illustrate that many new beginnings are possible throughout one's life, regardless of age or personal circumstance. The author encourages us to look at the individuals as reflections of ourselves and to challenge stereotypes we may hold about others. The reader is to recognise the challenges experienced by the individuals featured and be informed by their stories. I think there’s a sentimental quality to his writings and we are to experience his journey also. This is a personal web site which is advocating the work he does. There is an expectation to appreciate his abilities too. This is a personal promotional phototherapy website with the addition of photo essays featuring his patients work. His style of phototherapy may differ to theirs. Mark Wheeler, Judy Weiser and David Krauss are also seen as pioneers. As he is also named as a pioneer of phototherapy others may not agree. I was very interested in the seven photo essays of various individuals who shared their experience with Walker- a young girl with kidney disease, a horse trainer in his eighties, a heart surgeon, an aspiring singer-songwriter, a dying therapist, a woman struggling with bipolar disorder, and a gold medal Olympic athlete. 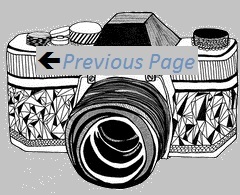 The camera is used by both the individual and Walker to present their stories. The addition of their personal accounts about their images plus reflections about their lives gives the viewer an insight into their life. The photos are an important part of this narrative and Walker takes us on a journey through each page. The overall design of the website is also very important. Walker has paid careful attention to the ‘look’ of the website, with appropriate layout and font choices. The page transitions are seamless and I personally feel it enhances the photo stories. There is no information about other photo therapy practitioners. I see this as a personal promotional website. Nellie Jacobs. (2011). Episode 22-Joel Walker, MD.,FRCPC: New Beginnings-Age Is Just a Number. Available: http://www.blogtalkradio.com/igniting-imagination/2009/04/30/episode-22-joel-walker-mdfrcp-new-beginnings-age-is-just-a-number. Last accessed 26/01/2011. Francisco Aviles. (2010). Links fototerapia. Available: http://www.fototerapia.com.mx/Fototerapia_Links.html. Last accessed 26/01/2011.